Kat Graham has been casted to play Tammi Terrell. Tammi Terrell is a talented singer that lived a rather tragic life. 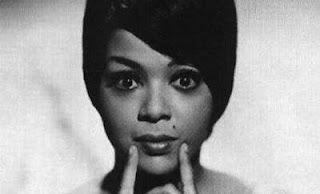 Tammi Terrell is most known for her classic duets with friend Marvin Gaye : Ain't No Mountain High Enough and You're All I Need to Get By. From what I've seen from Kat I believe that she will be able to carry the emotion that is sure to come with a Tammi Terrell biopic. What do you think about this casting?